Assistance, when you need it the most. Whether you need to replace a flat tire, or jump-start your vehicle in the event of a dead battery, Mercedes-Benz Roadside Assistance will be there. 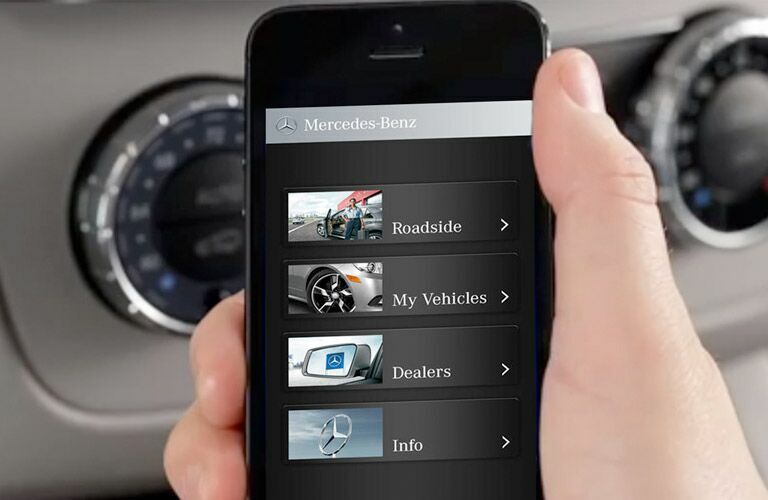 If you have an eligible Mercedes-Benz vehicle, simply contact Roadside Assistance by using our 800 number, accessing our app, or if you have mbrace®, push the Wrench button. Then, Mercedes-Benz personnel will be dispatched to your location at no charge. Mercedes-Benz Roadside Assistance doesn’t just stop at fixing a tire or providing a few extra gallons of fuel. We’ll also arrange for a tow to the nearest authorized Mercedes-Benz dealer at no charge should your vehicle experience a mechanical issue or be involved in an accident. Rest assured that your vehicle will be repaired using only Genuine Mercedes-Benz Parts. Flat tire, dead battery, or out of fuel? 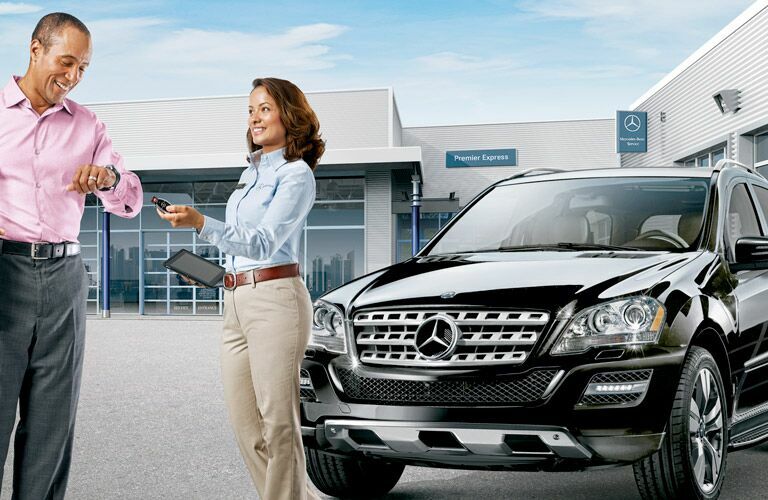 The Mercedes-Benz 24-Hour Roadside Assistance Program provides help when you need it the most. * Please note that in certain unique circumstances, additional charges may apply to Sign & Drive. For certain models (i.e., AMG) which have no spare tire, Roadside Assistance provides inflation of a flat tire after using the vehicle's TIREFIT puncture sealant. For vehicles with a spare tire not in working order, towing and/or additional charges may be required. *In certain situations, additional charges may apply. Please see Service Restrictions for full details. A Mercedes-Benz dealer will reimburse you up to $300 per night** for documented actual lodging, food, and related travel expenses, for a maximum of three consecutive nights from your vehicle's initial disablement. ** All Trip Interruption claims and documentation must be presented to and approved by an authorized Mercedes-Benz dealership. Please see the service department at your local dealer for details. In the event that a technicians is called upon for further repairs beyond the complimentary services, and the repair is not covered under any Mercedes-Benz warranty, service and parts charges may be assessed.